Players to Watch: No specific player for Alabama, but the team as a whole. How do they react to what happened Tuesday? Do they rally around each other as a team, do they learn and grow from it, and does a leader(s) emerge for this team? 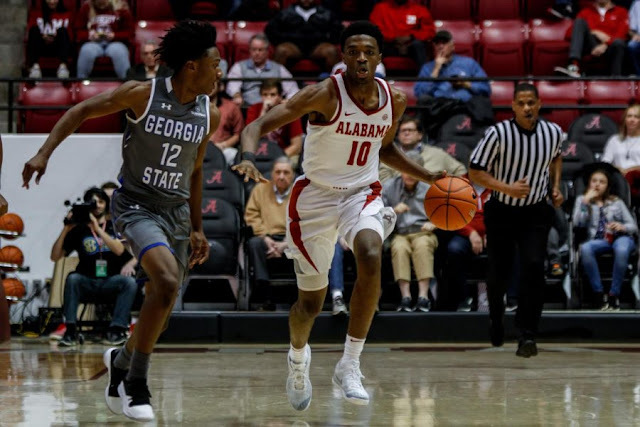 You've got to have thick skin as a team and a coaching staff, and the hope here is that Alabama can concentrate on the good things they did in the first twenty minutes of the game on Tuesday and apply that to the game on Sunday. It's lost in the wake of the Georgia State comeback, but Alabama's change to a smaller lineup was the right move and resulted in a more dynamic offensive performance to start the game. If the team can clean up some issues on defense, they'll be fine. College has been a journey for Arizona's Justin Coleman. 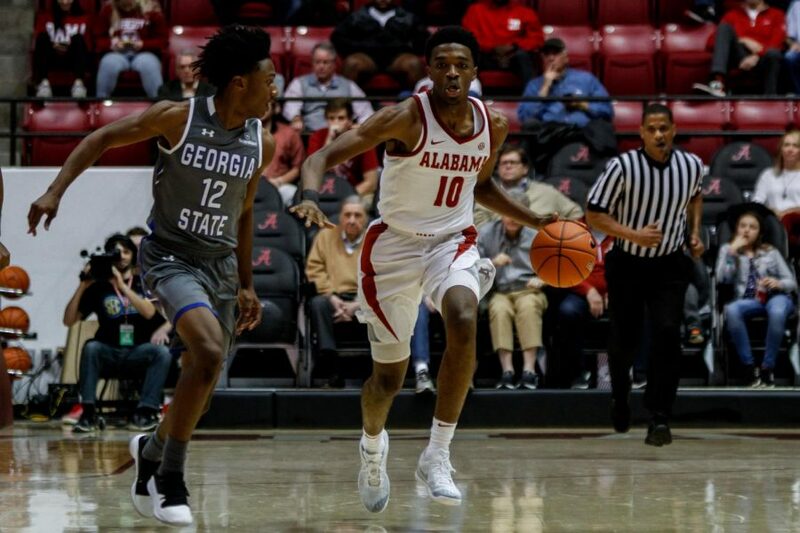 Justin, from Birmingham, signed with Alabama during the Anthony Grant tenure, spending two years at Alabama before sitting out a year after transferring to Samford. He played a season there, but decided to spend his final season in Tucson. It's been a good move for him. Averaging 11.7 ppg, 3 apg and 1 spg, Justin has been a leader for this Arizona team, and has played a pivotal role in the Wildcats being somewhat of a surprise team up to this point in the season. No doubt he has had this game circled since the game was scheduled. Prediction: Arizona has wins over a top 20 KenPom team (Iowa State) and a road win at a top 100 KenPom team (Uconn). Sean Miller has gotten the most out of this team up to this point. Of the two teams, Arizona is playing the better basketball entering this game. So that makes Arizona the easy pick, right? Not exactly. Say what you want to about Avery Johnson's time in Tuscaloosa, but there's no denying that Alabama has won some big games during his tenure. If you applied the quad wins/losses selection criteria, which wasn't in place at the time, to the 15-16 season, Avery's first in Tuscaloosa, there's a good possibility that Alabama may have squeaked into the NCAA Tournament. Year two was noticeably lacking quality wins, but last season's team made it into the field by virtue of the number of quad 1/2 wins that it picked up. The point being there have been some head-scratching losses during Avery's tenure, but also some big wins. Would anyone really be surprised on Sunday if this Alabama team followed up a head-scratching defeat with an eye-popping win?